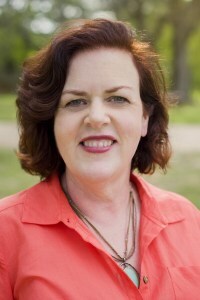 I’d like to introduce my friend, Kathi Lipp. I’ve known Kathi for several years, and then had the privilege of getting to know her better when we worked together for a couple of years at the Mount Hermon Christian Writers’ Conference in California. 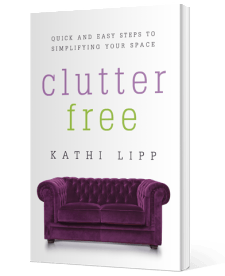 The author of Clutter Free: Quick and Easy Steps for Simplifying Your Space, Kathi excels in simplifying and organizing. That’s why I asked her to share an excerpt from her book with a few basics steps to help us declutter in this new year. 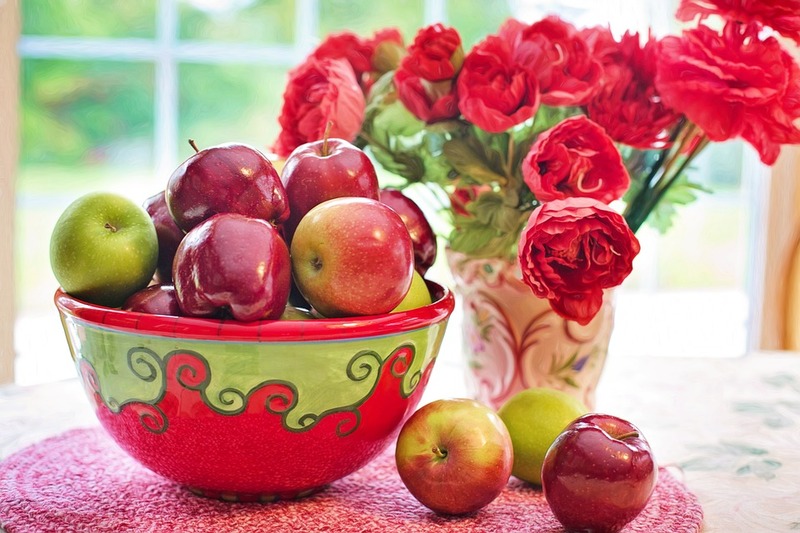 We all want to be more organized, more disciplined when it comes to dealing with our stuff. This excerpt from my book Clutter Free offers a beginners’ guide to help you jump in and get results quickly. 1. Pick a major source of pain. Get mad every time you go into the garage? See red when you try to relax in the living room? Is your office where papers go to die? Whatever area of your home is causing you the most pain, that’s what needs to be addressed first. 2. Start with surfaces. Some people want to dive into grandma’s photo albums that have been sitting in the attic for decades. Deal with the layers first, giving yourself a goal (Twenty items a day? Thirty?). Start the decluttering process with surfaces that confront you every day: Your kitchen counters, kitchen table, nightstand, desk. As you get practice with the day to day clutter, you can start to deal with the deeper clutter. You are building your “flinging” muscles! Oh – and when you start – only pick a small area. One counter, one shelf, one drawer. I know that’s not a surface, but if it’s a drawer you use all the time and it’s so stuffed you can’t open it, bad words come to mind every time you try, feel free to tackle that drawer. To stay focused, you can even use blue painter’s tape to put physical boundaries on the area you are working on. Great for young kids. Or easily distracted adults. 3. Set up a donation space. I have a bin in my garage where all my donations go. When it’s filled up, I take it to the car and stop at the “donation station” on the way to church on Tuesdays for a meeting. For the first few weeks of flinging, you may have more garbage and recycling than normal. That’s OK! Understand that you may have to pay for past clutter indiscretions, but going forward, you will remember the cost of bringing clutter across the threshold and will resist the urge. 4. Get your tools together. You will need five bags or boxes to sort out your stuff. Label the bags or boxes: Other Rooms, Put Away (anything that belongs in that room, but is out of place), Give Away, Recycling, and Garbage. We use nifty color-coded bags with handles. 5. Declutter. Get all your containers and bags around you so it’s easy to sort out your area. Set a timer for 15 minutes and start sorting. 6. Deal with the fallout. At the end of the 15 minutes of sorting, it’s time to start dealing with the stuff you are not putting back onto/into that same space. Set your timer for 5 minutes and take care of any container or bag that is full (or close to full). If that is all the decluttering you are doing for now, deal with all the containers/bags. Don’t leave a bigger mess than when you started! 7. Stay encouraged with other flingers. You’ll need a cheering section, especially when you’re getting started or “leveling up” (dealing with harder clutter: sentimental things, family items, expensive clothes, etc.). Connect with people who have made the same hard decisions and know your pain. We have a Facebook group dedicated to learning the Clutter Free way. Join us there for encouragement and motivation. Miracles are happening in that group. Join now! To read more from Kathi, click here to purchase Clutter Free: Quick and Easy Steps for Simplifying Your Space. Note from Mona: Friends, my desktop is my first decluttering project for 2018. How about you? Anything you plan to make clutter free this month? Kathi’s de-cluttering tips are always so encouraging. My first de-cluttering project for the new year is our bedroom walk-in closet. I took EVERYTHING out and dusted and vacuumed it thoroughly. I’m only putting back in the things we actually use. Somehow, I removed an entire room full of stuff from the closet! How’d that happen? Most of the items I removed are heading to the thrift store. I love it, Laura. Good to hear from you. Congratulations on the clutter free closet!My first 2018 decluttering project is my office, beginning with the desk top and moving onto the pile of files claiming the corner chair. Happy decluttering! Great tips-very inspiring too. I use around half of her suggestions now…..ready to try out the rest….starting with Christmas decorations that get a new home in a different closet so I can put “Shirley” stuff in her clothes closet! Shirley, good to see you here. Amazing how good reorganization feels, right? Enjoy!